Modular Shock Wave Therapy & Ultrasound Diagnosis. The DUOLITH® SD1 »ultra« represents a clear modular concept that meets the growing demands of a medical practice. 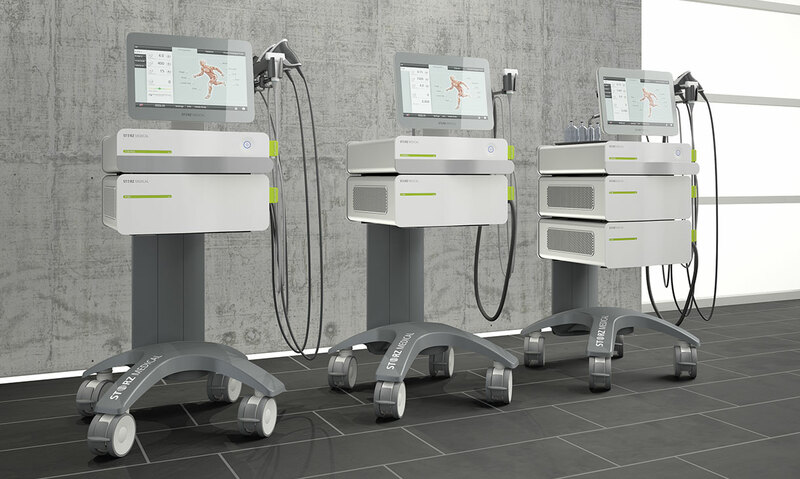 It combines radial and focused shock wave therapies, complementary vibration and vacuum therapies as well as the integrated diagnostic ultrasound imaging in one system. The high-performance »FALCON« R-SW handpiece allows the radial module to be operated also independently of the control unit. The »SEPIA« handpiece renders treatment directly at the patient easy and efficient. Accurate diagnosis of the indication and identification of the pain zone are prerequisite to achieving the most successful treatment.